There are plenty of ideas for awesome tribal armband tattoos. Whether your decide to add to your collection of body art or just want to play it safe with a simple tribal piece, armbands are a perennial favorite for many reasons! Men and women can both wear armbands, and their placement is perfect for impromptu coverups if needed. Get some fresh ideas for tribal bands and decide whether or not they're your style! Sometimes a fairly simple tribal armband can be just as awesome as a more ornate design. This fresh idea for a tribal armband incorporates swirls and vines. A cultural or Samoan tribal armband is a unique alternative to the typical designs. Ancient symbols and designs make this tribal armband tattoo far from ordinary! Armbands can be worked into a variety of other tattoo themes. Consider adding art above or below your band to create a unique tribal sleeve effect. As displayed here, a few simple lines can have a great effect on both men or women. 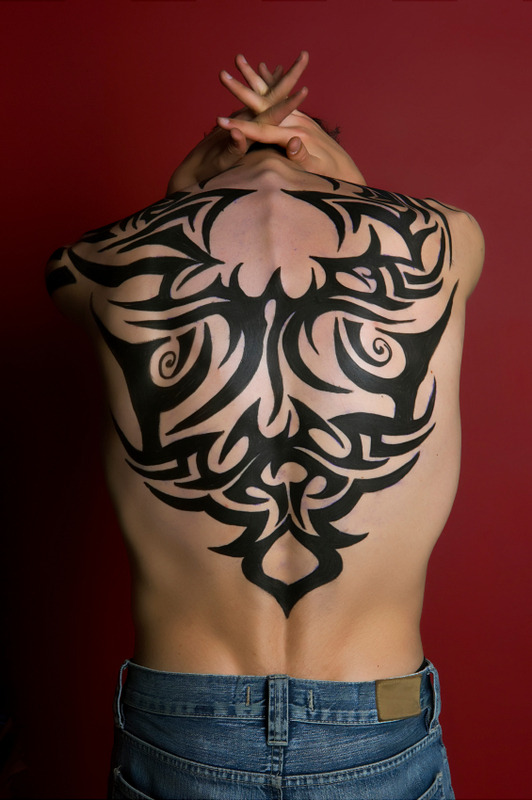 You can adapt a wide variety of design ideas into tribal style tattoos. For more inspiration, check out Tribal Butterfly Tattoos and Punk Tattoos.